Located in the Clearwater and Largo area of Pinellas County Florida, the Community Veterinary Hospital prides itself on providing optimal care for all small animal companions including dogs, cats, birds and exotic animals. The practice has been around for 40 years under the ownership of Dr. Lester Mandelker. He is the only Board Certified Veterinarian for both dogs and cats in the Belleair, Clearwater, Largo and Seminole areas. Dr. Mandelker has also been recognized as one of the Nation’s top veterinarians several times. Community Veterinary Hospital offers a wide range of veterinary services ensuring that animals are healthy and feeling their best. In addition to a state of the art surgical suite, the practice offers complete diagnostics and therapeutic services for the various health needs of animals. They also handle pet emergencies during business hours. For the last 4.5 years, the Community Veterinary Hospital has been using iCare Financial as a means for pet owners to pay for services, as well as tests for their pets. 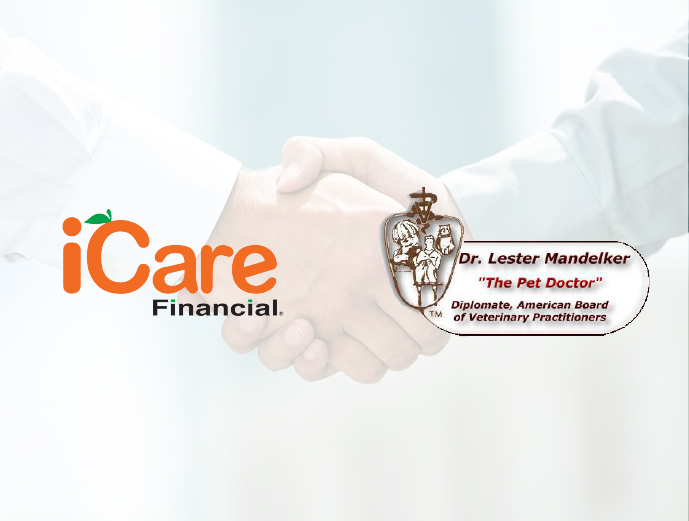 According to Dr. Mandelker, the results that the practice has achieved using iCare Financial have been highly successful. After the doctor has reviewed the health condition of a pet, the team at Community Veterinary Hospital gives the pet owner an estimate of the costs. When customers state that they don’t know if they have the financial resources to cover treatments, the option of using iCare Financial is introduced as a viable solution. In past years, the practice had solely offered the option of Care Credit. However, they were finding that many of the patients didn’t qualify for this type of Financing. As a result, they weren’t able to afford the medical care that their four legged friends often so desperately needed. When the hospital added the opportunity for clients to pay using iCare Financial, they found that it picked up the gap due to the fact that iCare is a far more flexible payment solution. Over the years, Dr. Mandelker has noted that iCare Financial is used by patients most often for the more expensive procedures. Pet owners find out about iCare either through word of mouth, through the signs that are posted in the reception area or are simply informed about it when they are presented with their treatment plan. When clients have the opportunity to afford the optimal procedures and tests, it often changes their decision on how to care for their animals. 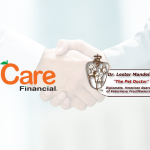 Dr. Mandelker has found that adding the option of iCare Financial has enabled them to do more procedures and, as a result, successfully boosted their bottom line. The doctor estimates that over the last 4 years at least a few dozen dogs have been able to survive, thanks to iCare Financial enabling pet owners to pay for better and expanded treatment plans.